This year’s edition of Binibining Pilipinas is specially highlighted by the fact that a reigning Miss Universe from the Philippines will be crowning her successor and the exciting pressure of picking another girl who will attempt to clinch a back-to-back victory is most expectedly at stake. When Gloria Diaz was proclaimed Miss Universe, a Philippine first in 1969, a Filipina-American from Bacolod was being touted to win any international pageant she would join in – except the organizers thought it would be highly unlikely to score a double victory at the Miss Universe pageant. Aurora Pijuan was instead sent to the Miss International pageant in Japan and just as they predicted, she won the country’s second crown – and fourth major international beauty title. When Misses Venezuela in 2008 and 2009 historically managed to campaign an unprecedented consecutive wins for their country, many pageant experts started to think that such feat is now possible, even if the last time such sweet occurrence is already 7 years ago. The international beauty contest community has concentrated eyes on the Philippine delegates since 2010, and the culmination of Pia Wurtzbach’s victory as the 3rd Filipina Miss Universe seems to be not the last. Picking the rightful representatives for the Miss Universe, Miss International, and other major pageants is not only in the critical visions of the telecast judges alone. The Bb Pilipinas organization actually has the final say whose head fits what title regardless of the overall performance scores in the finals. It is also particularly interesting to note that they seemingly have special spots for contestants who have joined, and placed more than twice. However, it could be very well attributed to the fact that returning candidates are more equipped to win each time they reappear in the contest. This is why we have special spots for 9 candidates this year, although it can be noted that none of them finished as runners-up in the past. This is Ria Rabajante’s, Binibini 39, 3rd attempt to win a crown – a record which Wurtzbach achieved last year. Rabajante is fierce and exotic, but as our pageant expertise surmises, we honestly cannot put her in there, although we wish her all the luck in the universe this time. The case of Nicole Manalo, who on her second attempt, has to prove that being pedigreed from a generation of Miss Philippines winners (Nini Ramos, Katherine Anne Manalo, Bianca Manalo) she is on to something triumphant this time. Kimberle Mae is a member of a non-governmental organization called WCARP where she got to joyfully participate in feeding programs, orphanage visitations, and medical missions in Baguio city. Lina works as an Accounts Payable Analyst and one of her special talents is double baton twirling. In her spare time, she loves to cook Bicolana dishes and pasta (with a twist). She is proudly representing Iriga City of Camarines Sur. Anjellica is a model who is currently a Tourism Management student. She was a full academic scholar since high school. She loves to read books and enjoys travelling, playing the piano, and horseback riding. She also loves watching classical concerts and stage plays. Dindi is a flight attendant in the Philippine Airlines. 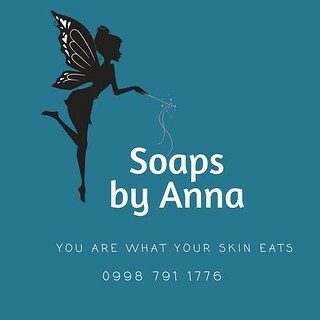 She is also an entrepreneur with a small general merchandising business in Bataan. She is currently a pilot student in Fliteline Aviation in Lucban. Kylie graduated at the Ateneo De Manila University with a Bachelor's Degree in Business Management. She also worked as a preschool teacher, and is a volunteer for the Natasha Goulbourn Foundation. She loves surfing and also enjoys baking. Mariella is currently taking up Fashion Design and Merchandising at the De La Salle College of St. Benilde. She plans to put up her own clothing line someday and would love to design wedding gowns. Maria has been a Gawad Kalinga volunteer for the past four years. She is a Philosophy graduate who grew up in Bantayan island in Cebu where she loves to kayak. She is a model, an events host, and an Award-winning indie film actress. Jehza Mae is a Finance graduate who hails from Davao City. She loves dancing and advocates healthy living. She is also an ambassadress for children and youth affairs under Maharitas Sports Foundation. Christianne graduated with honors from Ateneo de Manila University with a degree in AB Interdisciplinary studies with tracks in Communication and Information Design. She is a sports enthusiast and was a football team captain in College. She also trained for the Philippine National Football team. She can speak German fluently. She is also an aspiring Mensa International member with a borderline genius IQ of 143. 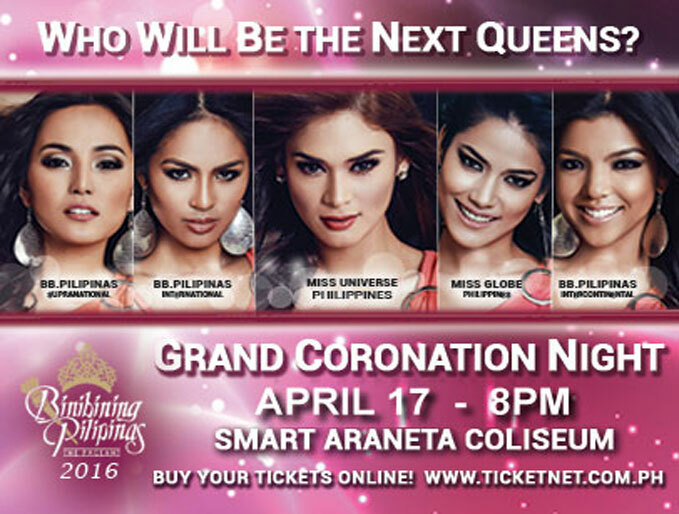 The Binibining Pilipinas Coronation Night is happening on April 17, 2016, at the Smart Araneta Coliseum in Cubao, Quezon City, and will be broadcast live on ABS-CBN and The Filipino Channel.